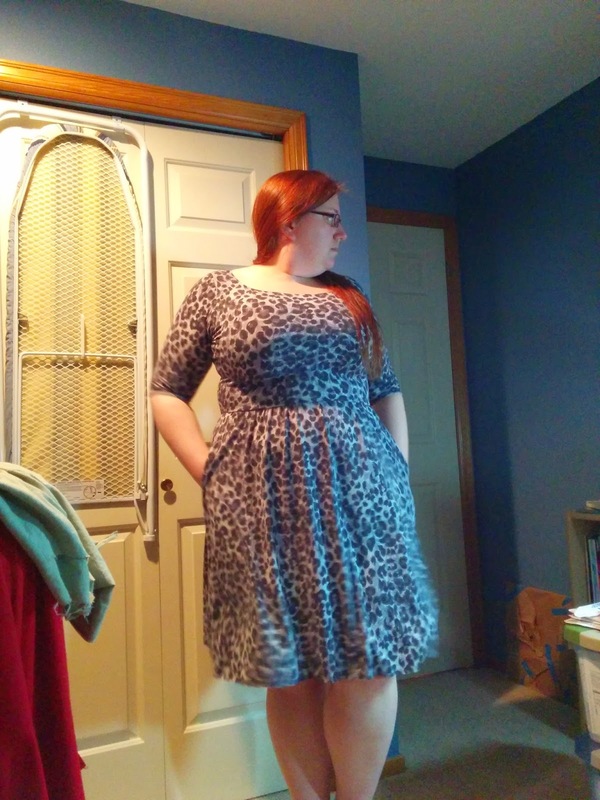 This was my first Moneta by Colette Patterns, made in a Gray/Black Wispy Animal Print Jersey Knit from Fabric Mart. 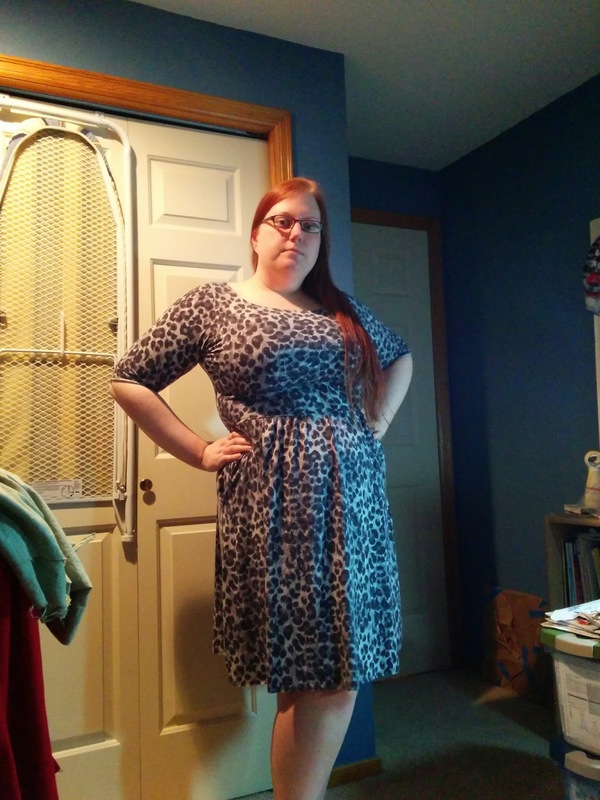 I made a straight XL and it's a little tight in the bust, but not so much that it's uncomfortable. 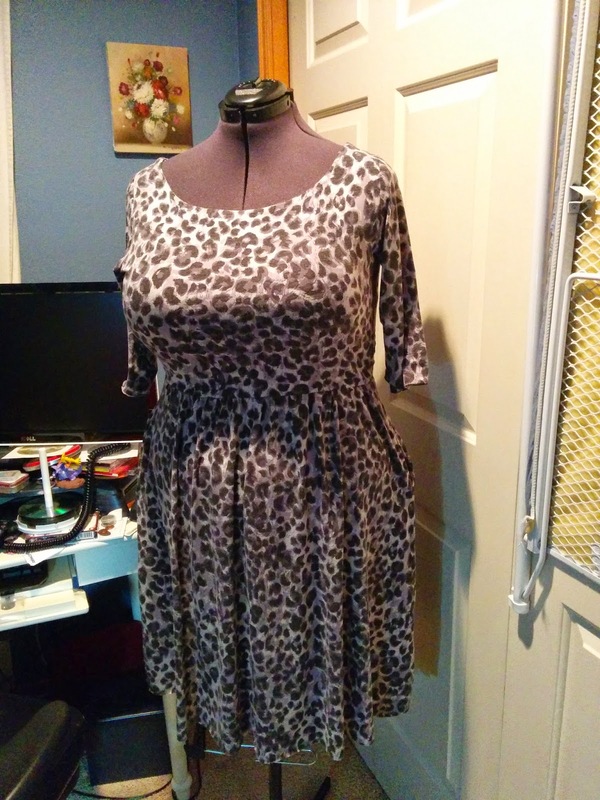 So when I make this dress again, I will probably add a little extra room there. But other than that one minor complaint, I absolutely love this dress. And here she is on my dress form.